Do you Offer a Grocery Store Stop ? Yes. 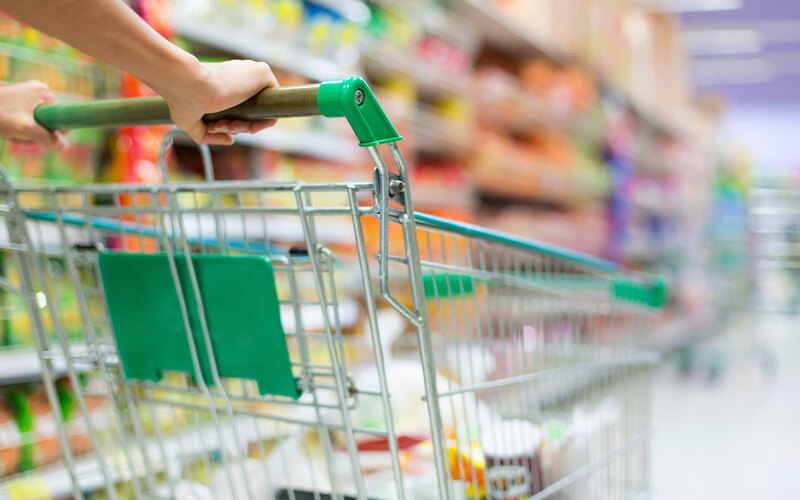 Our grocery store stop is complementary and we allow our passengers 20 minutes of shopping for necessities. Need to be prearranged when booking. Do you charge other fees or taxes? No, There is no taxes, fuel fees, or hidden additional fees. Your fare is your total cost. Gratuity is not included and is a reflection of your service satisfaction and is customary 20% or more. What are the Florida car seat Laws ? The state of Florida constitutes 316.613, that all children traveling in a vehicle must be provided with protection. Therefore, children ages 0-5 must be in a car seat or booster seat. Children from ages 0-3 must be in a forward facing car seat. Children from 4-7 must be securely fastened in a booster seat. Need to be prearranged when booking. Can I pay the reservation in advance ? Yes. Just call 1-888-664-2457 or 1-407-517-9386 and our operators can process your payment (processing-fee applies). We accept VISA, MASTER CARD, DISCOVER & AMERICAN EXPRESS. Are the vehicles smoke free ? Yes. There is no smoking during our transfers. Passengers are allowed to smoke while doing a grocery stop outside of our vehicles. Do travel agents get any benefits for reference? We, at Access Line Transportation, track your arrival flights online and are aware of any delays. This helps us be more efficient with our time and yours. What happens if my flight changes ? If your flight information changes, please call us at 1-888-664-2457 or 1-407-517-9386 immediately so that we avoid any inconvenience for you. We are arriving in separate flight ? If your traveling with a large party and have made one reservation to avoid making separate reservations, please make sure to input the information for the later flight and meet that party at their arrival baggage claim in order to conveniently meet the party as a whole. We understand your travel plans may change and other circumstances may arise. With that in mind, Access Line transportation has a very simple cancellation policy. Just give us 24 hours notice within our business hours prior to your pickup time and we will not charge your credit card. Refunds normally show up on your account within 2 business days depending upon the credit card and issuing bank. Access Line Transportation will not refund payment if cancelled with less than 24 hours notice prior to pickup time or in the event of a no-show. We will charge for one way transfer. Anyone can make a reservation online, via e-mail, via fax 1321-4734141, or by telephone. You can call our customer service toll free number at 1-888-664-2457 or our local office number in Orlando at 1407-517-9386 and one of our reservation specialist will be happy to assist your needs or simply click here and reserve online. If you are not a frequent traveler, no problem, just submit your reservation online request and you will receive a confirmation by e-mail. How Do I handle gratuity for the Driver? Standard gratuity is 20% of your trip. We do not dictate gratuity service charge except in the case of a Stretch Limousine transfer where there is a required minimum of 20 % for gratuity. Many times you can either pay your chauffeur cash or add the gratuity to your credit card after the trip is completed. we always try to have the same driver for the round trip so giving the tip in full on arrival is ok; or you can split it in two.